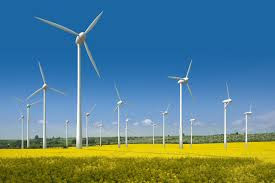 Dixon…Legislation passed byState Representative Tom Demmer (R-Dixon) to extend the process by which wind energy devices are assessed for property taxes, providing stability for both the industry and local taxing districts was signed into law by Governor Rauner on Tuesday. “I am glad to deliver a stable, predictable method that both local government and wind energy developers can use for the next five years,” said Rep. Demmer. “This helps communities and businesses plan for the future. That is good for taxpayers and good for wind energy employees.” Prior to the Governor’s enactment of Rep. Demmer’s legislation, the assessment process for wind energy devices was scheduled to sunset in tax year 2016. Rep. Demmer’s legislation was supported by the Illinois County Assessment Officers Association, the Fair Assessment Information Resources Committee, and the Illinois Farm Bureau. Rep. Demmer can be contacted at his district office located at 1221 Currency Court, Rochelle, IL 61068 or by calling the office at (815) 561-3690.